Check out my scraps for step-by-step pictures for many of my deviations. hey man, i hope am not disturning or annoying you, but...could you do a artwork of this en.wikipedia.org/wiki/Ekrixina… ? I just realized that you're my 100th follower here on DeviantArt. Thanks! I've updated the group, now you can add your art! Cool gallery. Thank you for appreciating my work! Thanks! 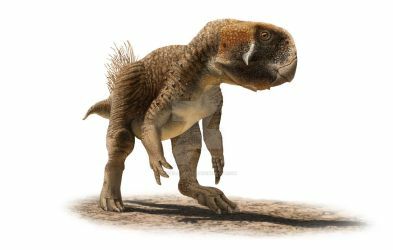 Feel free to use my Cyclotosaurus paleoart for Wikipedia, just credit me by name in close association with the pieces. 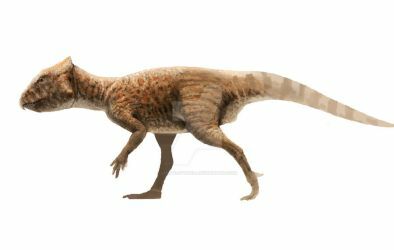 Indeed, Paracyclotosaurus skeletals are great. I will try to draw it in my free time. Hey there! 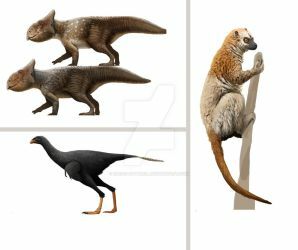 I'm the creator for the Neovenator on the wiki page. 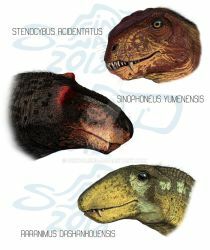 I'd like to update the scale chart to show a life restoration, and I know your charts are aesthetically pleasing! Therefore, if I create a line art reconstruction for Neovenator, would it be possible for you to shade it similar to your other charts on the wiki page (eg. your Deltadromeus)?